PortableApps, which allows you to carry around your favorite open source apps on a USB stick is one of the coolest projects out there. Today we will look at CodySafe which is a similar project that gives PortableApps some competition. Installation is pretty straight forward following the install wizard, there are tool components that are optional but I recommend installing them because they are pretty neat. Then you obviously want to make sure you are installing to the correct portable USB drive. Unlike PortableApps there is are no applications installed by default. You will have the drive tools and folder directories but that is it, you will need to add applications individually. Also notice the menu has a Vista interface look and feel to it. When you do click to get more applications it bring you to codyssey.com where you can browse through different categories. You are also urged to use sites such as portableapps.com, portablefreeware.com, and pendriveapps.com. 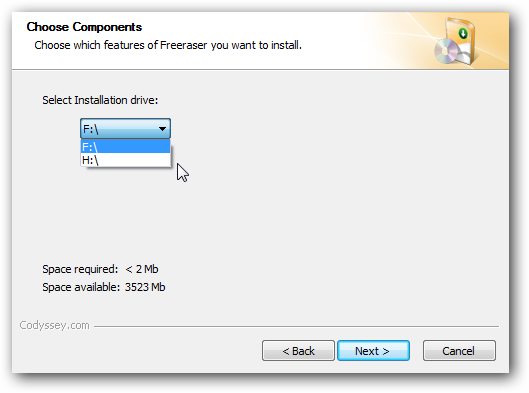 Let’s take a look at adding an application developed by Codessy called Freeraser which is a file shredder that will securely delete data. 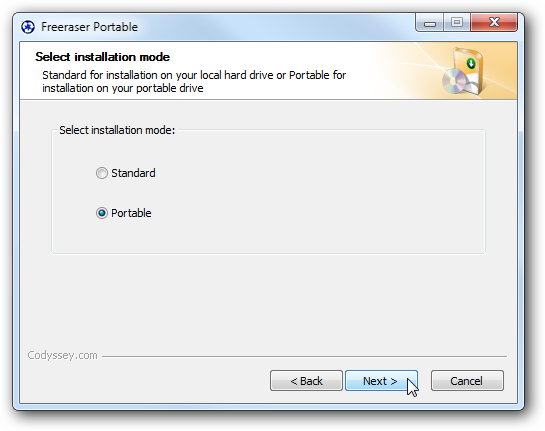 When running the install wizard make sure to select portable for the installation mode. 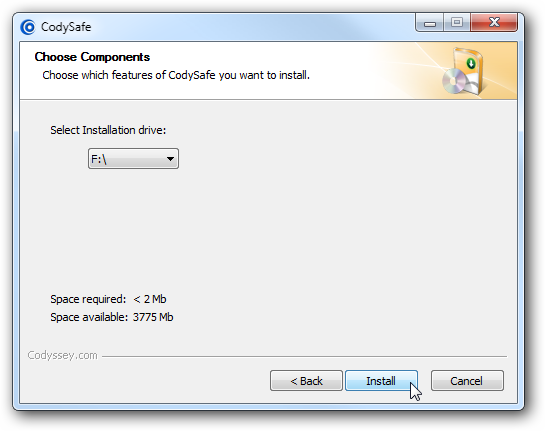 Again make sure you are installing it to the correct USB drive that CodySafe is installed on. 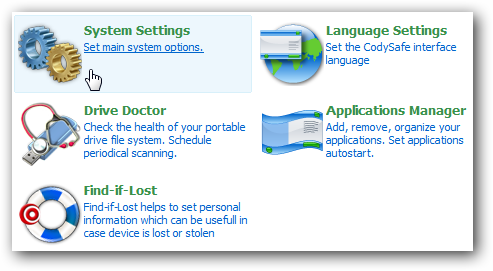 After the installation is complete you will see the new app in the start menu of CodySafe. 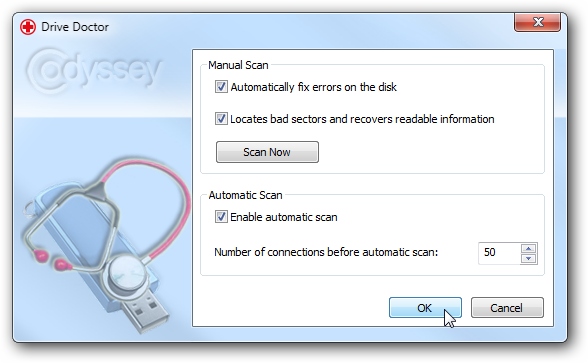 As previously mentioned there are some cool additional tools that can be installed such as Drive Doctor that will scan and repair sectors on the USB drive. 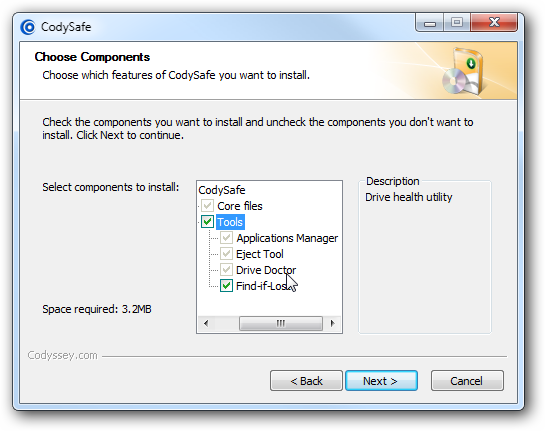 Here is a look at the other tools available in the CodySafe Control Panel. CodySafe is a cool new way to transport and access your favorite portable applications. The user interface is visually appealing and is very easy to use. 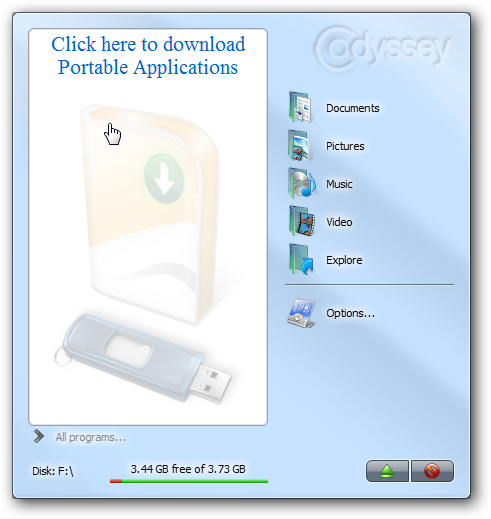 The author points out “CodySafe was developed in full compliance with PortableApps platform and, therefore, any application downloaded there and installed to the CodySafe-enabled drive will be fully functional.” Right now the project is still in beta and some might find it a bit time consuming to download and install a bunch of new applications that are included in portable apps by default. If you have the time and gumption CodySafe is definitely a fun new toy for portable applications.